To offer a more personalized and engaging experience, the SAQ launched a client recognition program in 2015—SAQ Inspire. One year later, SAQ Inspire strives to offer a unique experience tailored to individual tastes and habits. Since its inception, SAQ Inspire—which was designed to be hyper segmented—has leveraged business intelligence to stimulate member engagement. The system gathers data with each transaction and interaction, enriching the customer’s unique profile and shopping experience. To further advance the idea of personalized experience, the brand and agency Cossette developed a multichannel approach to show SAQ Inspire cardholders the many ways in which they could benefit from the knowledge gained through their program. The team guided members on how to interact with their program through email (via weekly newsletters), website, mobile application, and in-store environments so as to benefit from the following features: Targeted promotions and recommendations, with exclusive product offers selected based on the member’s profile, as provided by business intelligence; Invitations to events and contests directly related to the member’s fields of interest; Online access to their purchase history and purchase profile. In store, members can share their purchase history and purchase profile with an SAQ advisor for more personalized recommendations and promotions tailored to their tastes. The agency also developed two main messages for television and pre-viewing on the web. There was also a printed section in the September flyer and in the Cellier magazine. Interactive web banners invited participants to answer questionnaires to learn more about their tastes. Publications in social media and the two newsletters about the benefits of the program were also produced. Finally, a video that aims to inform and explain the novelties offered was on the site of the SAQ. Today, SAQ Inspire has 1.9 million members (out of Québec’s total adult population of close to 8 million). Approx. 66% of sales are identified through the program, meaning that members are very active when it comes to collecting points — up to 9% of which were redeemed in the highly competitive winter holiday shopping period. The participation rate for exclusive product offers averaged 4.4% from active members in the last six months with a higher performance among high potential customers. 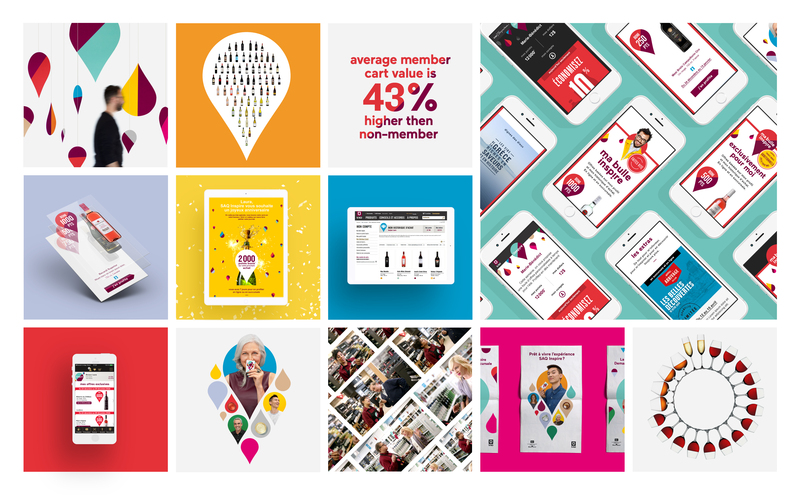 Customized offers were also an accelerator of engagement — before the implementation of these offers, the Inspire card was used by 56.5% of members. This proportion has since reached almost 59.1%. My Inspire Zone quickly won members over, with an appreciation rate of 57% just two months after its launch. 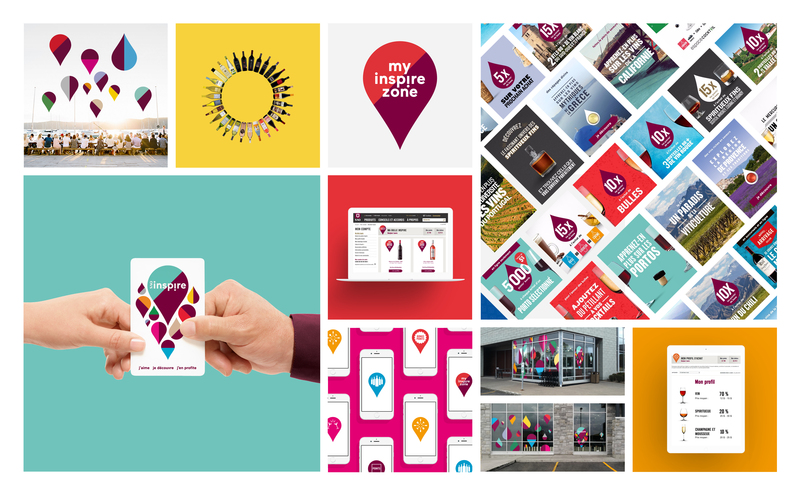 SAQ Inspire members first got in touch with their Inspire Zone after having received exclusive offers (59%), viewed their profile (44%) or their purchase history (43%), or shared their Inspire card with an SAQ advisor (22%).